Sophomore Katie Peirick got hops, recording one of her eight kills against Pacific. Hermann, Mo. – Coming off a two set loss to Borgia in the semifinals of the Hermann Volleyball Tournament, the Lady Shamrocks faced the Lady Indians in the third place match in Thursday’s tournament finals. New Haven, Mo. - The Discovery Expedition of St. Charles is re-enacting the return of the Lewis and Clark Expedition (Corps of Discovery) by traveling by long boat from Omaha, Nebraska to St. Charles. Pictured left to right, back row: Garrett Schoenfeld, Carlie Steinbeck, Brooke Kluba, Katie McKernan, Drew Schwentker, Kierstin Monzyk, Madison Doyle, Karissa Durbin, Meagan Ley, front row: Cortanie Gale, Victoria Bowers, Blair Bowers, Tenille Duessler, Lindsey Nixon, and Stephanie Scheer. --The Lady Shamrocks upended Montgomery County 10-3 to end a 13 game losing streak on Thursday. New Haven scored three runs in the third and fourth innings and added three more in the fifth giving them a 9-3 lead. COLUMBIA, Mo. ­— The recent economic downturn and volatile financial markets have drastically reduced the retirement accounts of many current and future retirees. New Haven, Mo. – Tuesday night Kierstin Monzyk and Katie McKernan played their last home game. It is always a bitter sweet moment knowing you will never again dawn the green and white before stepping onto Lions Field, which has been their home for the past four years. The abducted 3-week-old baby girl from Illinois, who was kidnapped in front of a post office, was found alive in a ditch on a rural gravel road Thursday night, authorities said. New Haven, Mo. 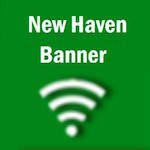 – When David Ocheskey lost his battle with cancer on April 23, 2011, people were given the choice of making a donation to The Ty Quick Athletic Memorial Scholarship fund and/or the athletic Department at New Haven High School in his memory. Pictured left to right: Harold Scheidgger (82), Louis Speckhals (81), Melva Sheldon 17th anniversary and Charmaine Klott 59th anniversary. Everyone celebrated with cake and ice cream. Hermann Florist gives flowers and HADH Auxiliary provides the cake. With public participation at an all-time high after four prior events in two years, the Drug Enforcement Administration (DEA) and its national, tribal, and community partners will hold a fifth National Prescription Drug Take Back Day at thousands of sites across America on Saturday the 29th. JEFFERSON CITY - On a recent sunny morning, Pioneer Trail Elementary School students pushed dirt around a newly-planted redbud tree that will bloom and provide shade for years to come. Pictured left to right: Dominick Pataky, Seth Schenck, Zach Grater, and Clara Roth all medal at the Vienna Invitational. New Haven, Mo. – New Haven’s Cross Country team has silently been leaving everyone in their tracks and is continuously getting better. This past weekend, the boy’s team ran in the 50th Annual Hancock Cross Country Invitational at Jefferson Barracks, which is one of the largest and most premier meets across the state. COLUMBIA, Mo. ­—A strong democracy depends on smart voters who choose their leaders based on their knowledge of important political issues. One of the ways that Americans learn about politics is by following the news. Now, researchers from the University of Missouri School of Journalism have found that simply following the news is not enough.